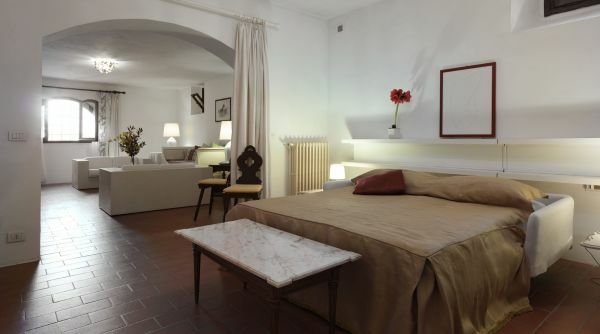 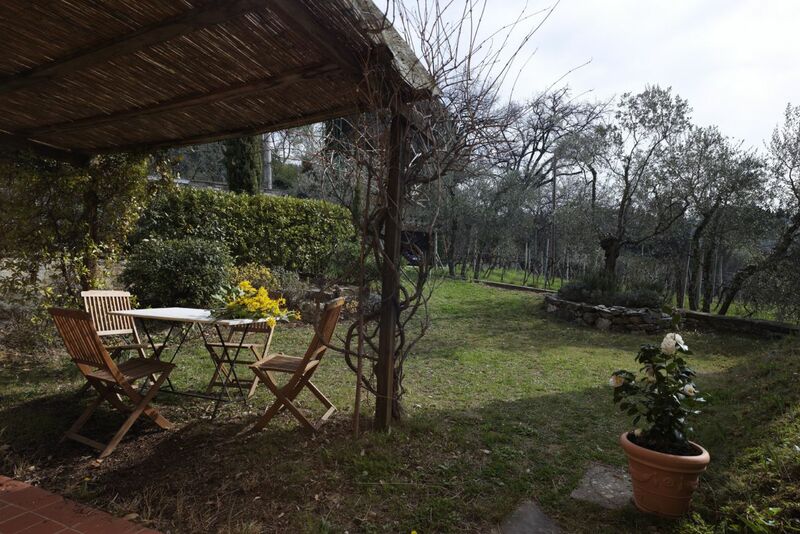 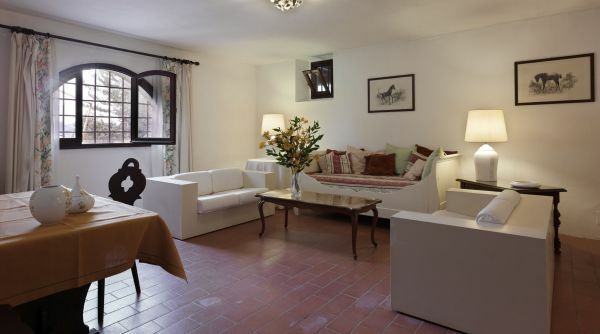 Apartment "Casa Palmerino" for rent in Florence with garden. 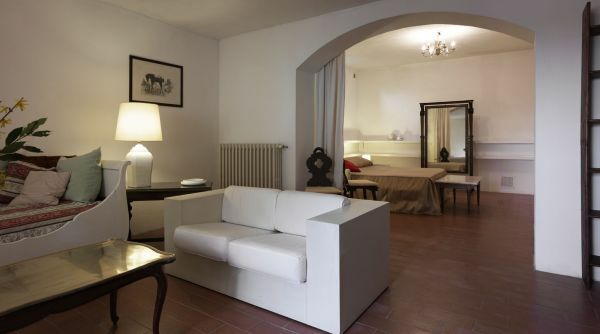 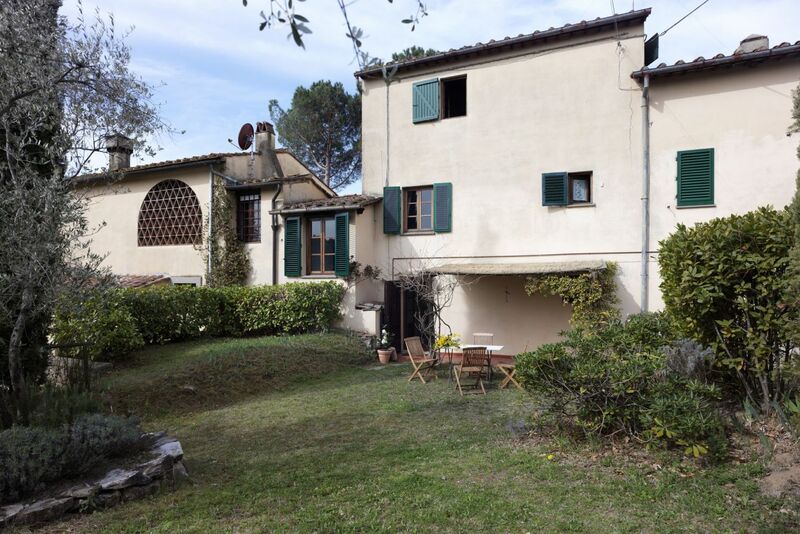 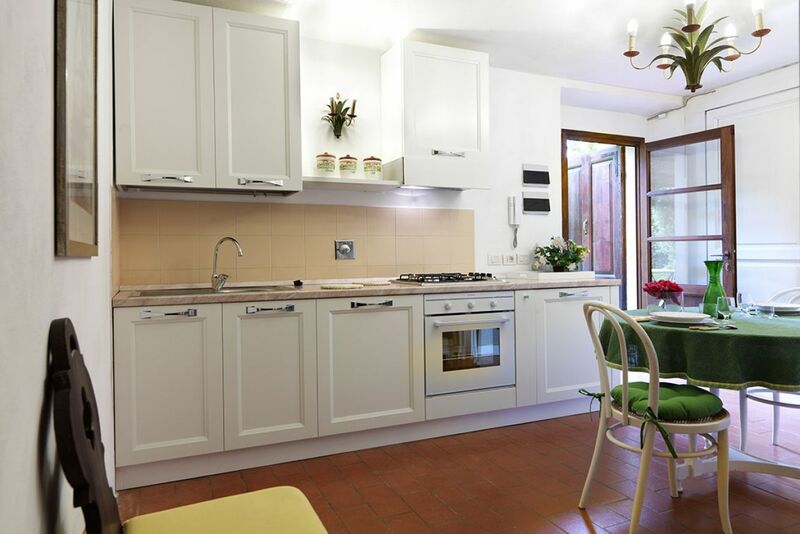 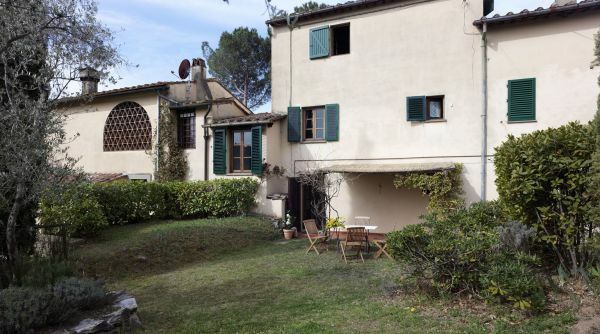 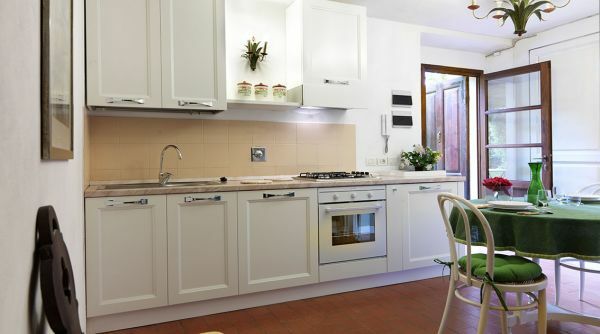 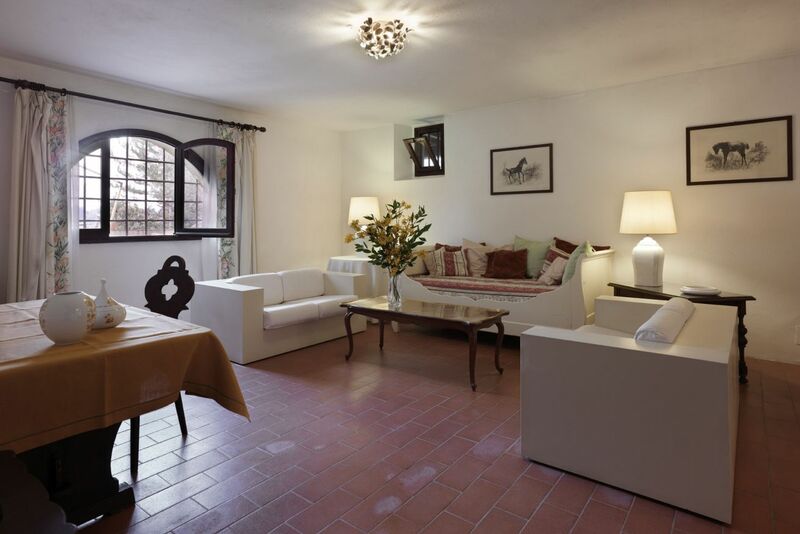 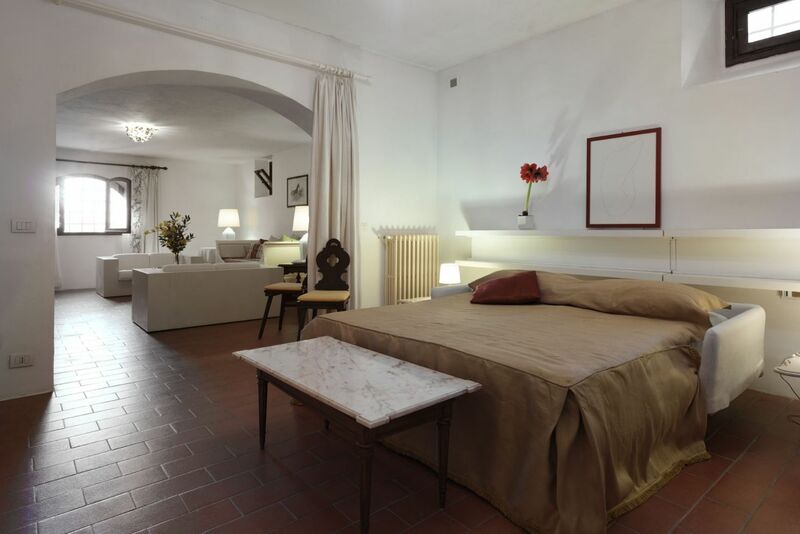 The apartment for rent in Florence is located on the ground floor of a Tuscan villa at the base of the beautiful hill of Fiesole – minutes from Florence's historical centre. 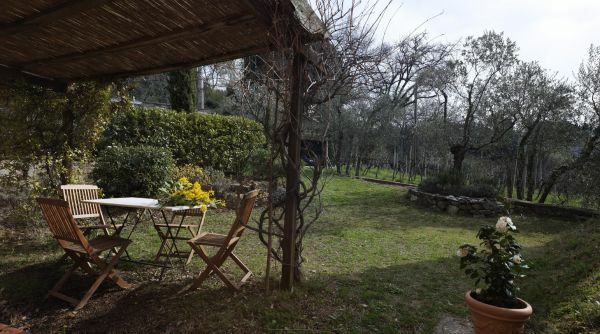 It is 75 square meters, with an extra 50 square meters of garden, where you can find a table and chairs to relax or have a nice meal outdoors. 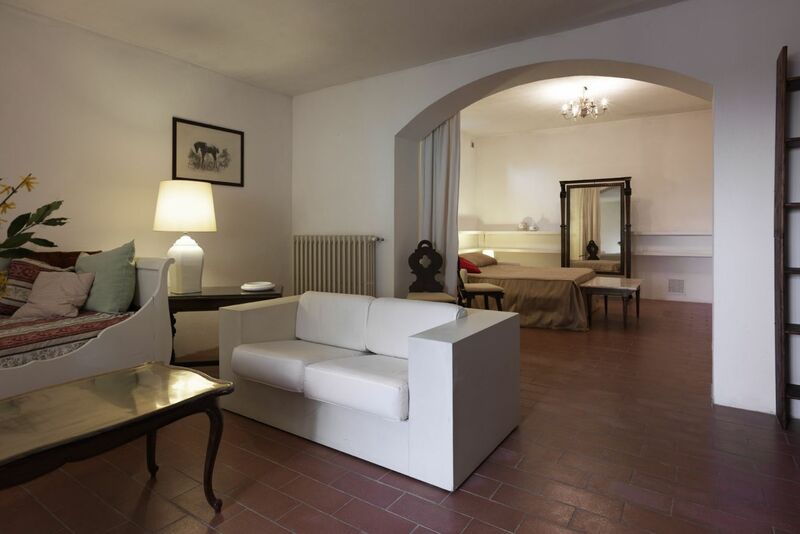 The apartment consists of an entrance hall with kitchen and dining room, a bathroom with a shower and an open space, divided by an arch, separating the living room from the sleeping area. 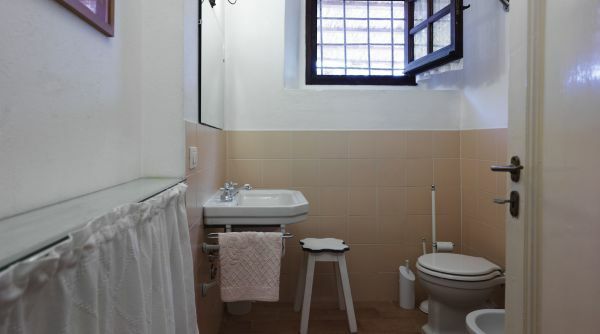 The apartment is fully furnished, with refrigerator, gas stove, wardrobe, washing machine, kitchenware and internet wifi access upon request. 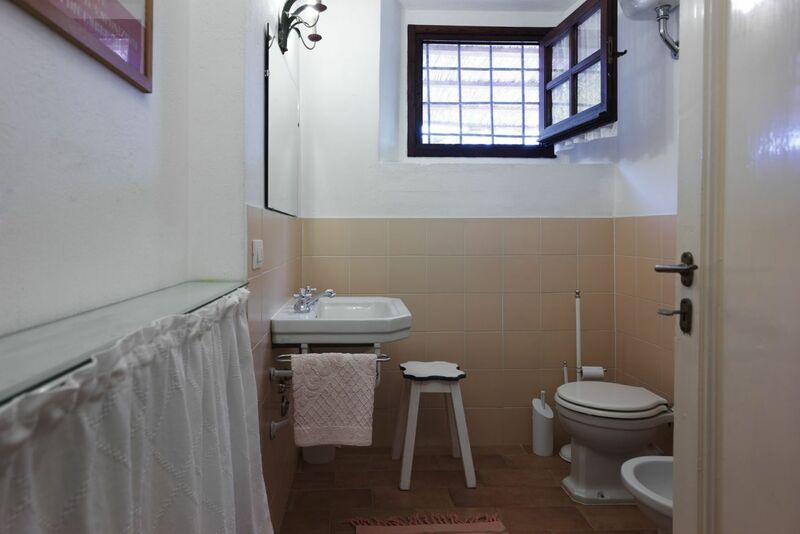 There is a parking space for a car or there is a bus stop less than 15 minutes walk from the apartment with frequent buses to the city center.